An Argyle pastor who captured amazing video of a tornado passing over his church said he hopes the footage will turn heads and open wallets. "Funny -- you don't know how close or how far away something is because it is so massive," said the Rev. Kory Knott, pastor of Argyle United Methodist Church. "First thing I thought of -- I don't know why -- but, 'This is amazing. I can't believe I am seeing this.' So, I grabbed my phone and started getting the video." Knott posted the video on YouTube so the world can see the storm that struck close to home. "In one sense, it looks beautiful," he said. "You are just in awe of this nature, but you also know how destructive and powerful it is." A pastor in Argyle has put his video of a tornado passing over his church online in hopes of turning heads and opening up wallets. Knott said hopes his video brings attention to tornado destruction at home and far away. Knott is asking people who watch the footage to make a donation to UMCOR. 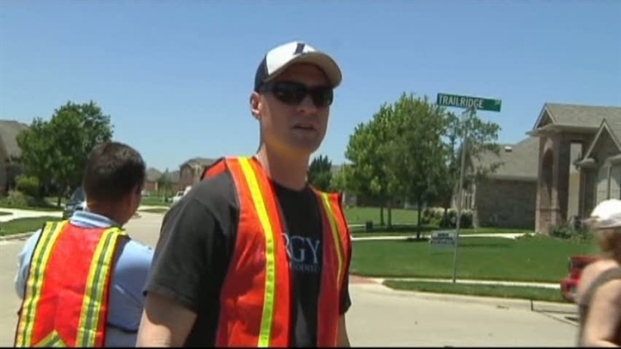 Home owners in Argyle are cleaning up after tornados ripped through their neighborhoods. The twister damaged a neighborhood off Highway 377 just a few miles away from the church. 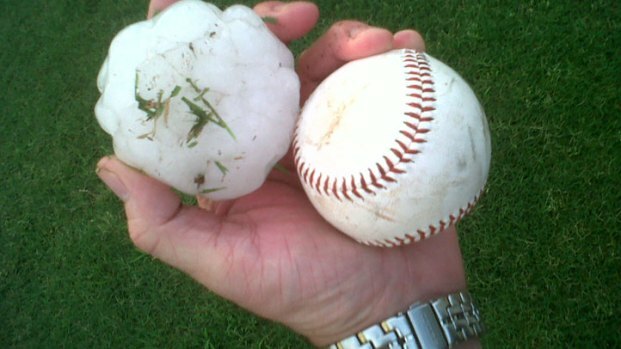 "Most of the damage, although some of it was structural, was limited to rooftops, fences, broken glass, vehicles with hail and wind damage," Knott said. Knott's congregation set out to clean up the debris, going hand-in-hand with the global relief effort it has been a part of for years. The United Methodist Committee on Relief, or UMCOR, is helping tornado victims nationwide. "All of the sudden, I see that it could strike close," church Member Becky Rogers said. "You go to all these other communities, and we don't think it could happen to us. And now, it has put ourselves in the shoes of the people that it's happened to." "That whole idea that we are one community and one body just really hit so close to home with this one event," Knott said.